Fall is here to stay in Michigan, which means shorter days and longer jackets -- and, of course, apple picking. The Mitten State has no shortage of farms and orchards, and this year's apple-picking season is supposed to be particularly robust, which means an abundance of apple pie, apple cider (and doughnuts, duh), apple fritters, and apple crisps. And since this is fall, it also means visits to the pumpkin patch, corn mazes, and hayrides. 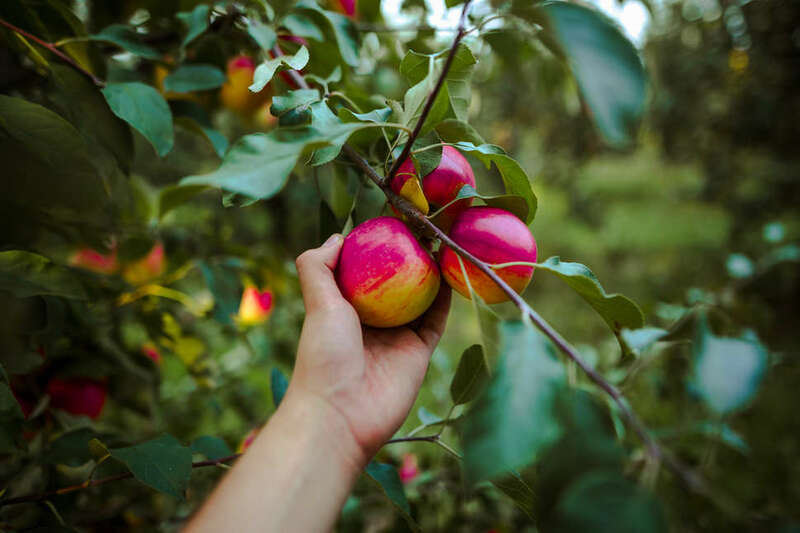 Whether you’re looking to stock up at the orchard, find an excursion for the family, or just enjoy basking in the crisp fall weather, we've got you covered with the best places to go apple picking (and everything that comes with it). No matter the time of year, there’s some sort of delicious fruit to pick at these South Haven orchards. While the summer months bear cherries, pears, plums, and apricots, come fall, it’s all about apples, pumpkins (beginning Oct. 1), hayrides, and cider. Plus, you can get a selfie with one of the many farm animals, or RSVP to get lost in the corn maze. Be sure to check the farm’s calendar for the most optimal picking times. This Metro Detroit staple has been serving up ciders, all manner of apple-based goodies, and access to its U-pick orchards since 1946. The family-operated farm features more than 40 varieties of apples and lots of kiddo-friendly activities ahead of Halloween; cost for U-pick is a minimum of $15 per car, so make sure to stock up. For the months of September and October, guests can test their skills for an impending zombie apocalypse with the “Zombie Paintball Safari,” featuring a hayride equipped with paintball guns. This Up North blueberry haven also doubles as a destination for peaches in the summer, and apples during the autumn months. 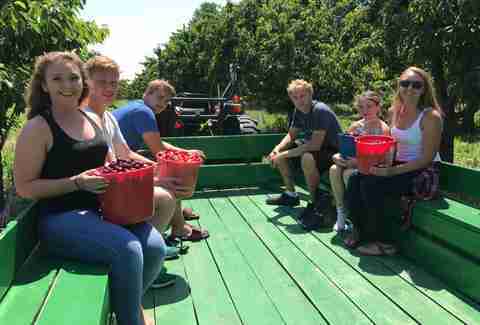 The hundred-plus-year-old farm is also known for producing a variety of jams, pastries, and ice cream -- and come fall, the fifth-generation farm turns to cider-making as well. Check the U-pick schedule on the farm’s Facebook page, and be sure to call ahead to avoid showing up when picking is closed. In addition to 15 varieties of apples, these orchards also feature pumpkins, hayrides, a corn maze, a "cow train" for the kids, and full-service dining at Crane’s Pie Pantry Restaurant. U-pick apples commence Labor Day weekend, and the coveted Honeycrisp picking season starts September 13; pumpkin picking usually starts in October. Billed as the oldest continually operating mill in the Mitten State, Dexter uses a combination of several varieties of apples in its cider, making for an optimal, unique flavor. There's also an on-site bakery that turns out doughnuts, apple nut bread, apple pie, strudel, turnovers, and other freshly-baked treats, if you're after something a bit more indulgent than cider. Bonus: In time for the 2018 season, the mill has also announced the launch of its own line of hard cider! Doughnuts are made fresh at Diehl's every weekend, though you'll want to call ahead during the week to reserve a fresh batch for yourself; there's also plenty of space for the family to stretch their legs and, of course, lots of apples for the picking. Groups can also sign up for the mill’s Dinner and a Hayride special, featuring a menu of apple-centric comfort foods. Hours: 9am-6pm daily, August 15-October 31. Don’t mind the crowds: This old-school cider mill is worth the wait for fans of fall flavors. You'll get a filling of warm doughnuts with a side of fresh apple cider that’s pressed and bottled on site, and with more than 20 varieties of apples on hand as well, it's no wonder this classic destination is a favorite of Metro Detroit families. These family-run orchards have been a mainstay Up North since 1938, with nearly 20 varieties of apples (including the popular Honeycrisp) along with cherries, squash, pumpkins, pears, apricots, and more. You'll get strapped with a bucket and special harness, and then set loose to pick as much fruit as you care to; and if you're not the pickin' sort, you'll also find the obligatory scenic wagon hay rides and hay bale maze that you'd expect from any self-respecting orchard. Large groups are encouraged to call ahead to schedule a visit. This sweet family-run operation in Grand Rapids brings together fresh fruit and wine, so after an intense morning of picking, guests can unwind with some vino. You can also indulge in homemade baked goods (prepared on-site each day), grab some lunch at the Apple Haus, sample a wide array of wine and cider, and then hop on a hayride pulled by the orchard’s fleet of Belgian horses. Hiking and bike riding are also available on the site’s scenic trails, as well! 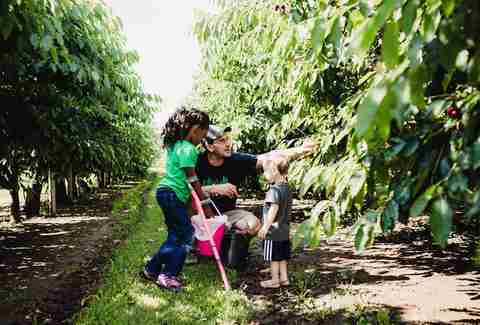 Apples aren’t the only attraction at this family-run farm; depending on when you visit throughout the year, cherries, peaches, apricots, nectarines, and plums are also available for the picking. 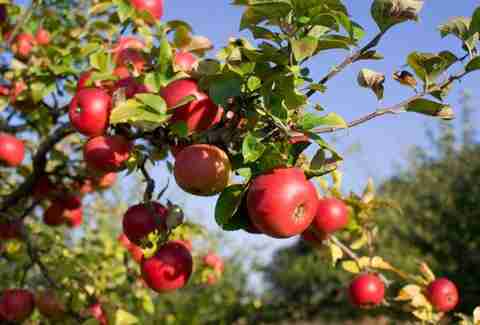 As a bonus, if you don’t feel like harvesting the apples yourself, you can have the crew here pick ‘em for you. 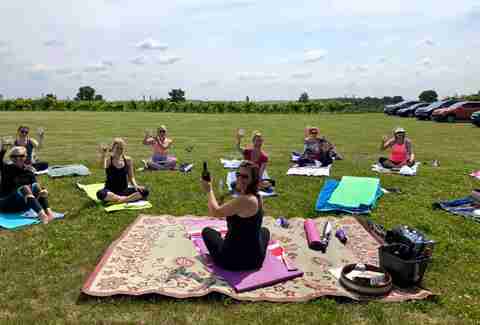 This local destination has a few other perks to appeal to guests, including an onsite bakery, wine tasting in the garden, traditional and hard ciders, and a gift shop to stock up on treats for the folks who stayed home. Whether it’s a rustic wagon ride, picking apples or raspberries, homemade fudge, wine tasting, or yoga at the orchard, this seasonal destination has plenty of activities to keep you occupied. 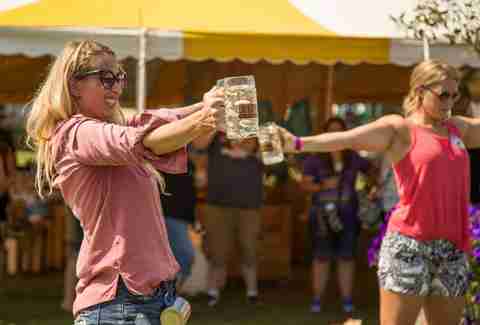 Come September 15-16, there's also the Harvest Festival: an annual shindig at Spicer Orchards that features (among other things) a craft fair and antique tractor. Starting September 8, activities include a bounce house, train rides, barbecue pork, corn roasting, face painting, and pony rides -- and there's even a kid-friendly corn maze/scavenger hunt, too! Yates Cider Mill is one of those places where you’re bound to run into your old buddies from high school -- except, they’ll probably have a little one in tow at this point. 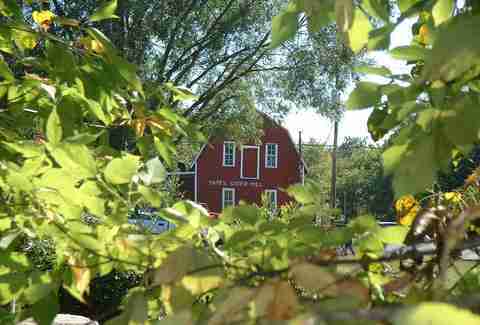 This circa-1860s mill is one of the oldest continuously operating and attracts families from all over Southeast Michigan for its fresh-pressed cider and doughnuts, as well as its apple tent, ice cream, fudge shop, apple tent, pony rides, farm animals, and more.